Hypothetical: Zeppelin reunites for a world tour. We asked Stormcrow and Wyco which of their shirts they would wear to the concert and why. “My shirt was used as the back stage pass for two Knebworth concerts in ’79 – printed in a very limited run. I got it from a family member of the company that screened ’em (G.A.S.) 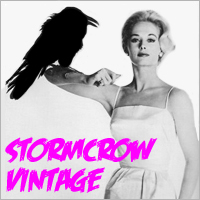 who said this just may be the only one still around.” – Kyle, Stormcrow-Vintage. “This rare ringer sold from our store while I was playing drunken black jack during a road trip to see Radio Head. Immediately after I read the email notification I went all Rainman and won $700. This shirt is lucky.” – Patrick, Wyco_Vintage.